Dennis and SISIS have announced that they will once again be exhibiting at the Golf Industry Show (GIS) in San Diego, California on 10 and 11 February 2016 at Booth 2517. Last year, at the exhibition held in Texas, both Dennis and SISIS reported the show as being a great success with much interest in both product ranges. 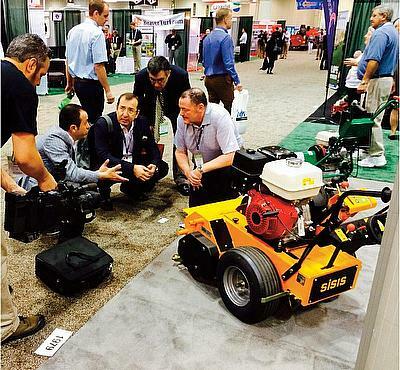 In particular, the SISIS Flexi400 – which was introduced to the US market for the very first time, proved to be the star of the show with one visitor purchasing the unit which was on the show stand. 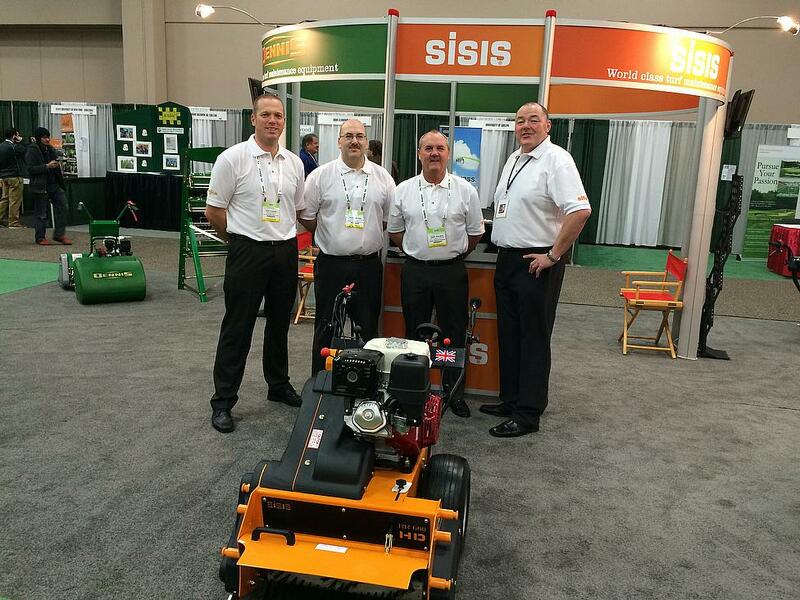 Visitors will be pleased to hear that the SISIS Flexi400 will be returning to this year’s GIS, along with a whole host of other market leading equipment from the two companies. The 4m wide Flexi400 is an interchangeable unit which has been specifically designed for fast and effective coverage on large areas such as golf fairways and sports grounds. The unit has seven fully floating heads which allows it to follow ground contours. The unit can be fitted with either a roller or brush heads and is ideal for the removal of dew, striping for improved presentation, lifting grasses prior to cutting or brushing in top dressings. It is attachable to the tow unit by a simple 50mm ball hitch or clevis pin and both arms can be raised for ease of storage or transportation. Lightweight at just 166kg, the Dennis G860 features an interchangeable cassette system including de-thatchers, verticutters, brushes, spikers and slitters as well as 6 or 8 bladed cutter cassettes. This versatile cylinder mower also has a large diameter front roller with an adjustable scraper which has been designed for a precise height of cut control. A single power unit ensures that many day-to-day maintenance tasks can be achieved. The SISIS Rotorake 600HD is a heavy duty pedestrian de-thatcher and linear aerator which can be used for regular, routine use at a shallow setting or a deeper setting as and when required. Offering versatility with a range of quick-release interchangeable reels including de-thatching, verticutting and brushing, the machine is renowned for its ease of use. It also features variable blade spacing, a large working width of 600mm (24”), six forward speeds and a reverse gear for efficiency under varying terrain. Superbly balanced, easy to manoeuvre and with an 11 bladed cutting cylinder, the Razor Ultra 560 guarantees an ultra-fine finish every time. This popular mower also has the added bonus of a powerful tungsten tipped groomer, which is ideal for lateral growth control. The SISIS Veemo MK 2 is a tractor-mounted de-thatcher used for removing thatch from large areas of turf, such as golf course fairways. The Veemo’s strong cutting blades are designed for minimum surface disturbance and maximum thatch removal via three floating heads which are independent from the main frame. The heads each move in all degrees of motion and follow any undulations of the ground on a fairway without any danger of damaging/scalping the turf, whilst the tungsten tipped hook blades with variable spacing cut effectively through the thatch layer. The SISIS Auto Rotorake MK 5 is a self-propelled heavy duty de-thatcher for removal and control of thatch on fine and other quality turf. It works on the successful contra-rotating principle for a clean, consistent performance with a selection of blades to suit key seasonal tasks. You can also view the latest Dennis and SISIS videos by visiting www.youtube.com/DennisMowers and www.youtube.com/SISISMachinery.